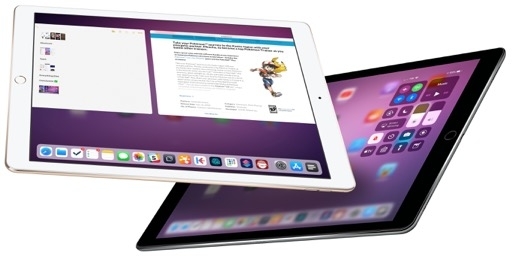 For the past few years, new versions of iOS always presented themselves as bold steps reaching for a greater vision: the productivity-focused iOS 9; the iMessage relaunch and first hints of a refreshed design language in iOS 10; the second coming of iPad and multitouch in iOS 11. By contrast, iOS 12 feels like a rare moment of introspection – a transitional release that looks inward to improve what already exists rather than break new ground. 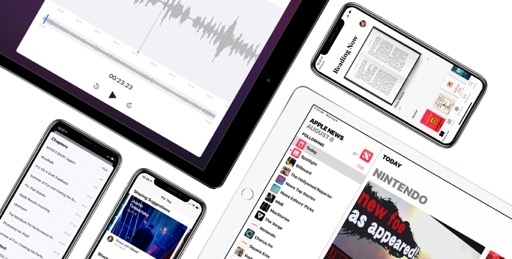 As I've explored in this review, there are new features in iOS 12; however, they don't hold the same mass appeal of an entirely reimagined iPad multitasking system, a sweeping App Store redesign, or a brand new Apple Music. 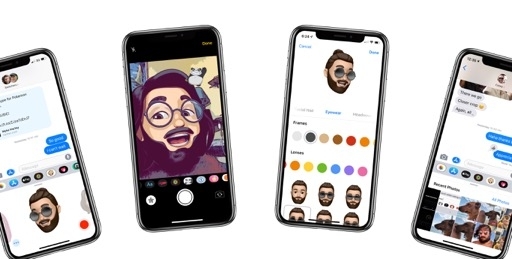 It's also quite telling that the apps Apple did update with all-new designs or major functionalities aren't high-profile ones such as Reminders, Files, or Mail, but utilities like Voice Memos and Stocks or parts of core apps such as Safari's keychain and Photos' sharing. The new Books app is the only (and welcome) exception. 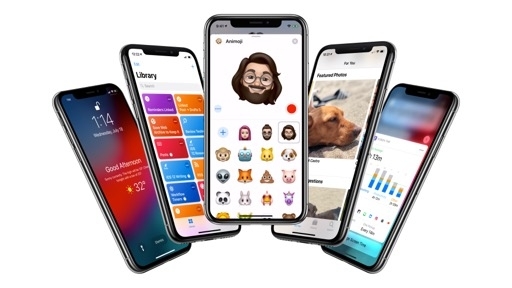 Most people will update to iOS 12 and notice considerable speed improvements or a handful of minor course corrections; years from now, they'll probably remember it as the update that brought grouped notifications and Memoji. "Not much has changed, but it's faster, and notifications are grouped" should be a strong enough argument to convince your friends and family to upgrade. This approach isn't unique to iOS: Apple appears to be mostly focusing on quality-of-life improvements across all of its software platforms in 2018. It's iOS 12, though, that fully owns it with features designed to improve our relationships with iPhones and iPads. 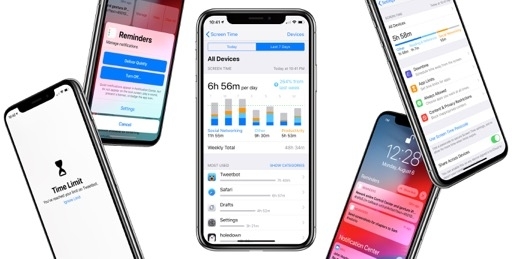 Do Not Disturb, reworked notifications, and Screen Time are Apple's response to the tech industry's concerns with smartphone overuse and app addiction; the three features are tackling the same problem from different perspectives, and, arguably, they succeed. New iPad gestures are more consistent with the iPhone X, resulting in a smoother multitasking experience. Sharing photos with other people is easier than ever. And, of course, the system's performance is vastly improved (particularly on older devices), and there's a newfound sense of responsiveness and general design polish throughout the OS. 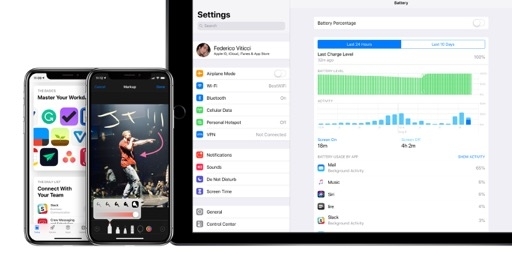 The work Apple put into improving iOS 12's performance and stability is important; like most software optimizations though, such major undertakings often go uncelebrated, as their under-the-hood nature takes the backseat compared to shiny new apps and consumer features. Nowadays, great performance and battery life are taken for granted on Apple devices. And I should add, rightfully so: people expect their expensive mobile computers to be as fast, reliable, and durable as possible. Once the initial surprise of a noticeably faster and more efficient device subsides, iOS 12 will likely be regarded as a healthy "more of the same" package – a solid release that largely plays it safe without taking any major risks. 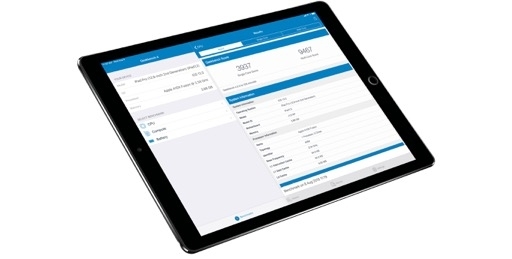 Perhaps for the first time in years, the latest version of iOS is not a polarizing update. There's nothing wrong with this strategy; in fact, I think it's exactly what iOS needed before the next revolution occurs. 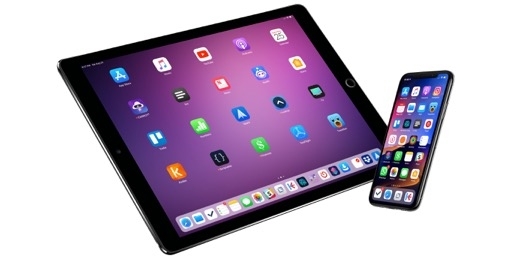 In this scenario, it's also possible that iOS 12's defining developer feature, Siri shortcuts, and its associated power-user utility, the new Shortcuts app, will be initially overlooked and fail to be appreciated for the milestones they are. Personally, I believe these are the two features with the most untapped potential for the future; if Apple's bet is successful in the long run, iOS 12 will eventually be remembered as the debut of the all-encompassing Shortcuts initiative. With Siri shortcuts, Apple is pushing ahead the union of apps and Siri. The end goal is twofold: to let users fully control and personalize their Siri experience, and to build a predictive system that learns from their habits, is able to support any app, and extends Siri with integrations beyond the confines of specific app domains. In an effort to accelerate developer adoption, the framework rides on the coattails of existing APIs and mostly consists of one-way triggers without a proper data flow; despite the somewhat limited scope, however, it has already reshaped my daily interactions with iOS devices. Several tasks that I used to perform by opening apps – from checking the weather to reading a note or viewing my tasks – can now be completed in Siri without giving up on rich responses and interfaces. More often than not, I don't even need to remember to launch these actions as iOS 12 suggests them to me. 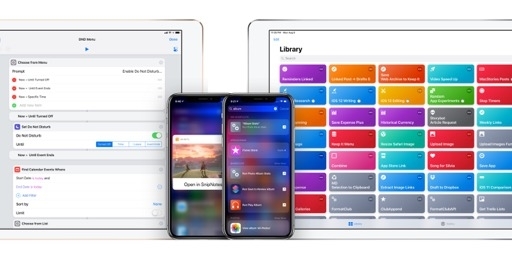 The ability to invoke the same shortcuts on multiple Apple devices – from iPhone and iPad to HomePod and Apple Watch – hints at a pervasive system that blurs the line between where an app ends and where Siri begins. They may be dismissed by some as just another extension type today, but, in reality, shortcuts are a turning point for Siri as an intelligence layer spread across the Apple ecosystem. I'm convinced they are an expression of Apple's long-term play for Siri and third-party integrations. Even without being pre-installed on iOS 12, the Shortcuts app embodies all of these principles. Shortcuts isn't a mere adaptation of Workflow: it uses the app's existing feature set as the catalyst for a fresh, more powerful take on automation that's even more closely tied to iOS. Just like its predecessor, Shortcuts can be used to craft complex workflows to speed up tedious tasks, launch multiple apps, or even interact with web APIs. But Shortcuts is also the app that now lets anyone create multi-action HomeKit routines with drag and drop. It's how you can quickly adjust system settings such as Do Not Disturb or brightness. And it's a utility that enables you to run app actions inside widgets and record personalized Siri commands that run everywhere, including your Watch, HomePod, or car. When he first demoed Automator at WWDC 2004, Apple's then automation manager Sal Soghoian aptly summed up its intuitive approach as "everybody can do this". Over 14 years later, the Shortcuts app delivers on that promise again and expands it: with Shortcuts, everybody can create something useful to save time anywhere they are. Shortcuts isn't just an automation app to use at your desk – it's an automation lifestyle. Shortcuts is the most beautiful, creative piece of software Apple has ever shipped. I've been reviewing Apple apps and iOS releases for almost a decade now; I believe Shortcuts is the most beautiful, creative piece of software the company has ever shipped. Shortcuts is a new kind of command line for iOS – a tool to visually script any app and feature of iOS – but it's also something else entirely. More than Workflow before it, Shortcuts is a productivity playground in between the OS and apps – a place for users to create their own enhancements to iOS; a lab where every iOS user is free to experiment, chain apps together, remix actions, and tie everything back to Siri. Ultimately, the Shortcuts app is what automation should stand for: empowering people to think, build tools to solve problems, and control a computer however they want, whenever they want. Maybe that's what a modern bicycle for the mind should be. Maybe that's where iOS 12's greater vision is. 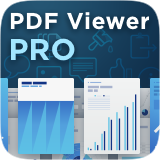 Read, review, and annotate PDFs on the go with PDF Viewer Pro.